Growing up in Baghdad and constantly hearing of the fierce rivalry between the Iraqi Premier League’s big names and the derbies featuring Al-Zawraa, Al-Quwa Al-Jawiya and Al-Shorta, my trip to the historical Al-Shaab Stadium on Sunday was a mouthwatering one. Albeit being a sincere enthusiast to the Lions of Mesopotamia from day one, I never deemed myself an actual fan of any of the domestic giants. In fact, my interest in the IPL as a kid never transcended more than jabbering about Younis Mahmoud and the successes of Al-Talaba. In early noughties, Al-Aneeq conquered Iraq’s football scene and Mahmoud’s name resonated in every corner of the country. 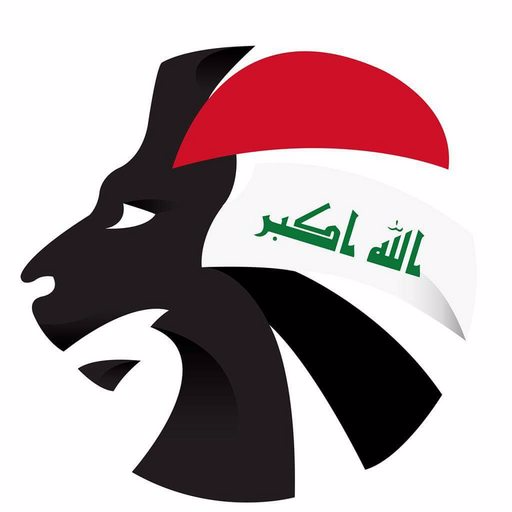 At the time, Al-Talaba, in their famous Nerazzuri-inspired black and blue striped jersey, won an IPL title, two Iraq FA Cup trophies and a Super Cup title, acquiring respect and fame among football fans throughout the country. Last night’s Baghdad Derby between Al-Zawraa and Al-Shorta was the time I finally experienced first-hand, the atmosphere of an IPL game. And it exceeded all my expectations. I ordered a taxi and headed to Al-Shaab Stadium three hours prior to kick-off. As the car cruised along the highway, I thought I was too early. I was wrong. The roads leading to the game’s venue were closed, riot police were deployed in the vicinity and thousands of fans were flocking to the stadium. Just outside the stadium, vendors were displaying scarves, flags and jerseys. Others were selling sunflower seeds and cigarettes or ice-cream and ice-cold bottled drinking water. The fans had everything they needed to get ready for the big game. With less than $3 a ticket, the 35,000 seater was almost packed even an hour prior to the game. I got mine and hurriedly went to find an empty seat in the home side stands. Surprisingly, not every kid in Iraq is a fan of Barcelona or Real Madrid. Little boys and girls accompanying their parents were donning their local team’s jersey and shouting their favourite popular chants. A little girl sitting behind me was calling on her father to carry her; she wanted to have a better view. Meanwhile a kid to my right was jumping, chanting and waving a little Al-Zawraa flag an hour before kick-off. The sun was setting over the Iraqi capital and the pitch was glaring, leaving me indulged into thinking of the rich history of the ground. Al-Shaab Stadium was opened on 6 November 1966 and the opening match between Baghdad XI and Portuguese side S.L. Benfica was attended by 50,000 spectators. The European outfit won the game 2-1, José Augusto Torres and Domiciano Cavém scored for Benfica while Qasim Mahmoud netted the only goal for the home side. Sadly, Al-Shaab Stadium was severely damaged during the US-led invasion of Iraq in 2003, and later it was used as an airstrip for the U.S. Air Force. It was reopened to host IPL matches for the 2005/06 season. Despite two renovations in 2010 and 2015, the current deteriorated state of the stadium raises questions over the FA’s integrity and efficiency. The players were merely warming up but the battle in the stands between the two sets of fans had already commenced, with each party trying to out-sing the other. A few minutes later, the referee would lead the two teams onto the pitch and ultra-supporters groups would unveil brilliant choreography and intensify their chanting. An amazing spectacle began. The visitors pressed high from the start and Alassane Diallo’s beautiful shot in the first minute was easily dealt with by Jalal Hassan. In the 3rd minute, Mahdi Kamel missed a real scoring opportunity sending the ball just beside the left post after a low-cross from Diallo. Two minutes later, after a beautiful pass from Kamel, Amjad Attwan fired a rocket with his strong right foot from close range, but the Al-Zawraa keeper bravely saved it to keep his side in the game. Al-Zawraa’s most dangerous play came in the 18th minute, when Mohannad Abdul-Raheem missed a one-on-one opportunity after a skilful one-two pass with the Syrian professional Hussein Jwayed. Mohannad tried to shoot again in the 21st minute but his low shot went beside the left post. Kamel, Al-Shorta’s skipper, missed another chance in the first-half when he awkwardly tried to lob the ball over Jalal Hassan but the ball went way high over the goal. 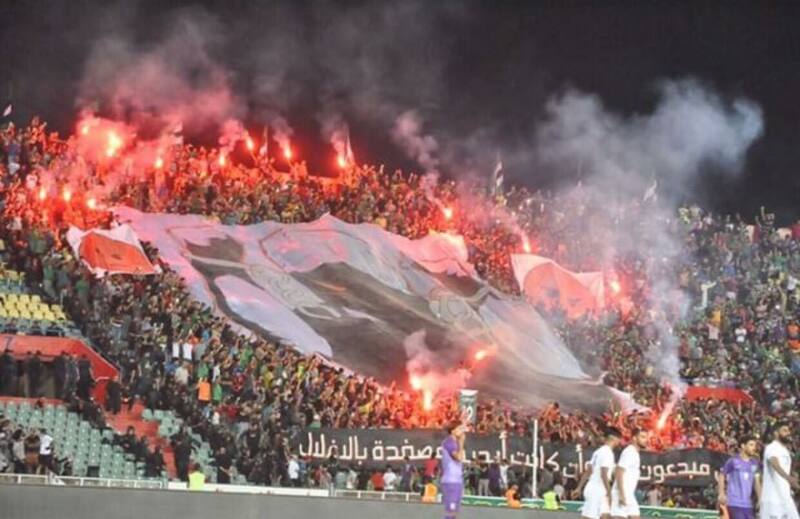 Again, the fans welcomed the two teams onto the pitch for the second half with a typical pyro-show and choreography – a familiar scene in the stands of Iraq’s stadiums. Both teams seemed cautious at the start of the second period. The first dangerous play came in the 56th minute for the visitors, when Diallo’s header hit the right post. In the 68th minute, the Senegalese professional played another very good pass, this time to Attwan who fired from long ranged but his shot was slightly above the post. Al-Zawraa’s most dangerous chance in the second half came in the 75th minute, when Mohanned stole the ball from the Green Harp defenders but Mohammed Hameed rushed from his goal and punched the ball for a corner. This was the last real chance of the match, which ended goalless. Despite the scoreline, my first Baghdad Derby experience was one to remember. In fact, walking down the streets among numerous flocks of singing fans while searching for a ride home stirred a peculiar type of regret in me, realising how many thrilling football spectacles I’ve missed down the years.